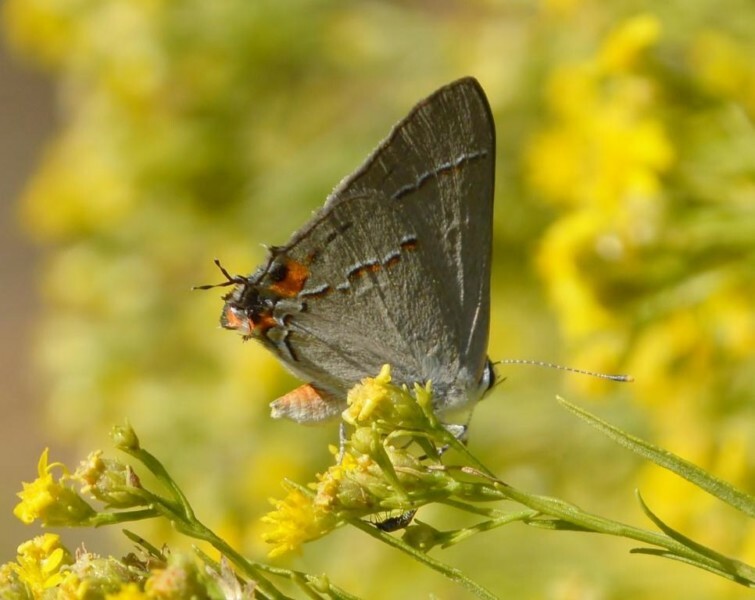 Eyespots, or ocelli, are eye-like markings found in a diversity of organisms including lepidopterans (butterflies, moths, and skippers), reptiles, fish, birds, and cats. Eyespots may be a form of mimicry in which a spot on the body of an animal resembles the eye from a different animal in order to deceive a potential predator. Eyespots may also be a form of self-mimicry by drawing a predator’s attention away from the most vulnerable parts of the body. Sometimes eyespots may cause an animal to appear to be larger and more threatening to a predator than it really is. 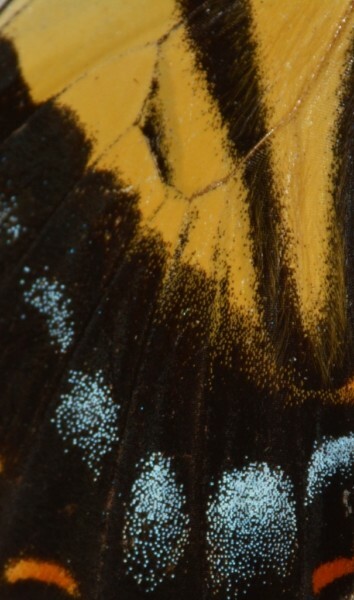 In larger animals, eyespots may have a role in intraspecific communication or in courtship. 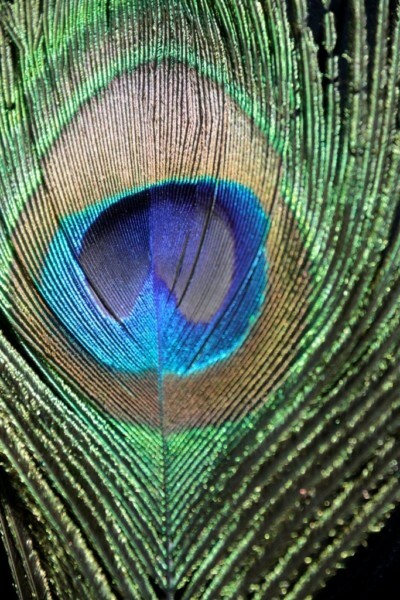 Peacocks have conspicuous eyespots in their plumage used to signal their quality as potential mates to hens. 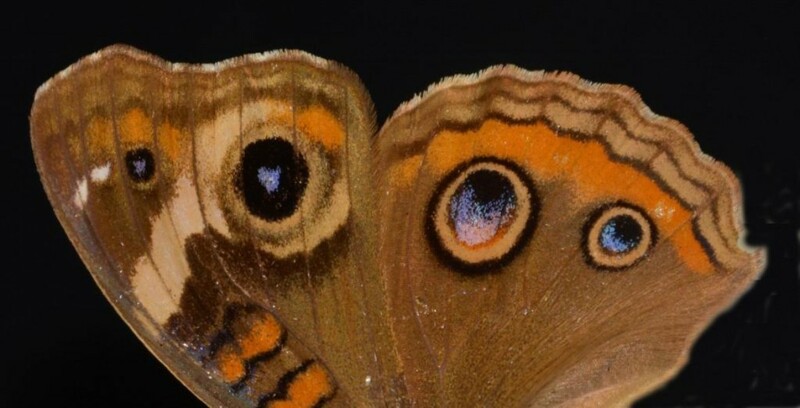 There is a correlation between the number of eyespots in a peacock’s train and suitability as a mate. Some members of the cat family (Felidae) such as the bobcat (Lynx rufus) have white circular markings on the back of their ears. Ear positioning in cats has a social function in signaling the kittens and in communicating a cat’s mood to other conspecifics. 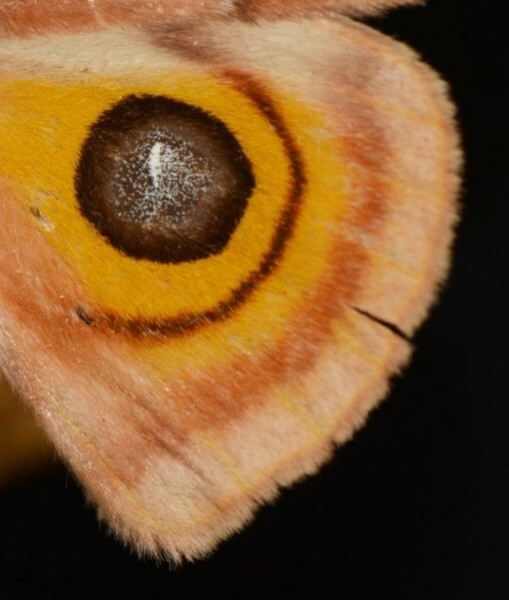 Eyespots are especially prevalent in many butterflies and moths. There is evidence in supporting that eyespots are sometimes considered as adaptations for anti-predation, either in a deimatic (threat, or startle) display to scare off predators, or to draw attention away from vital body parts. 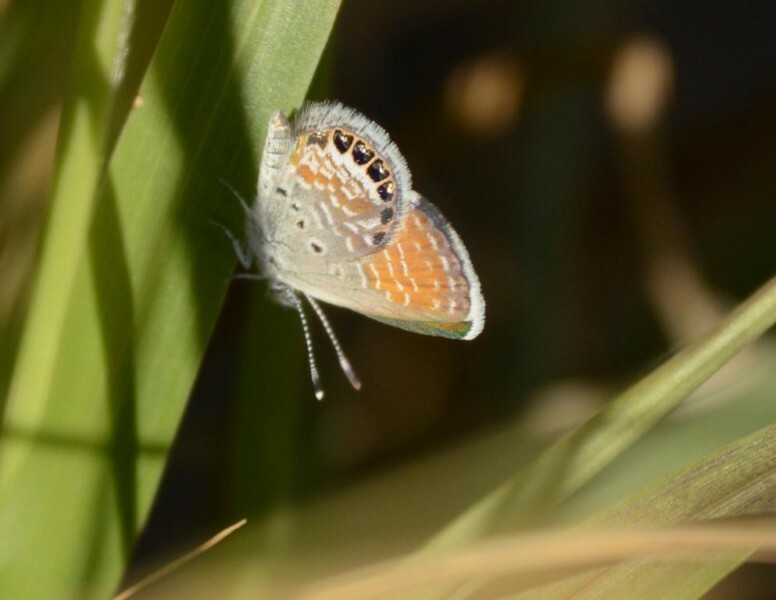 Lycaenid butterflies (Lycaenidae) (blues and hairstreaks) have filamentous “tails” or fringe at the edges of the hind-wings with nearby wing markings---a combination presumed to simulate a “false head.” Predators like birds and jumping spiders may be effectively misdirected in their attacks. Lycaenids commonly perch upside down repeatedly shifting their back wings. Studies of rear-wing damage supports the hypothesis as an effective strategy in deflecting attacks away from the insect’s body. 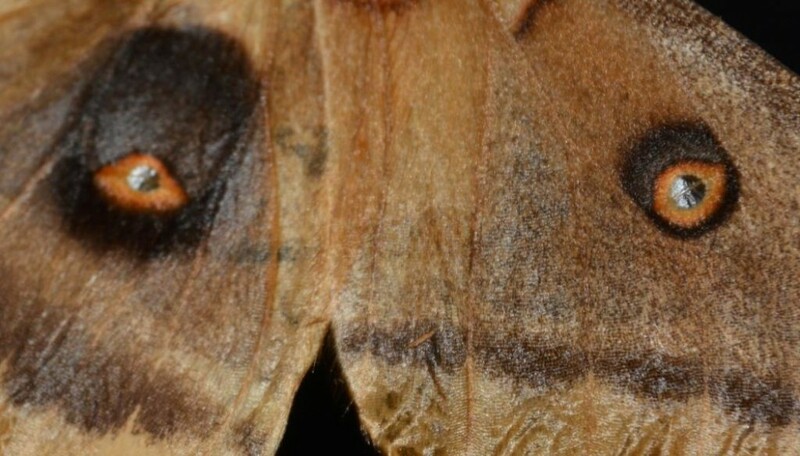 Many silk worm moths (Saturniidae), when threatened, flip their forewings forward, exposing large eyespots on their back wings. Often, the eyespots have white highlights resembling reflections from the eyes of vertebrates. Such markings have been shown to startle birds. Not everyone agrees with the long-standing interpretations of eyespots, though. 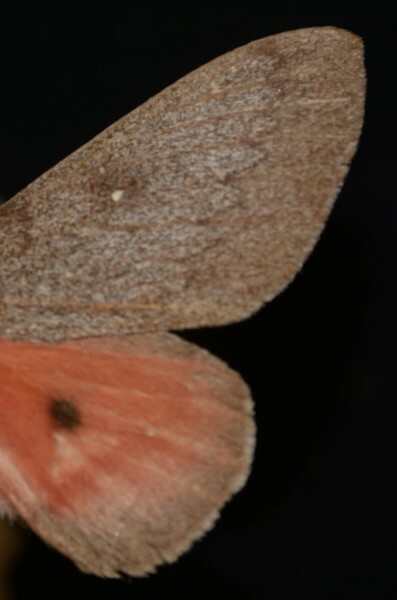 An alternative hypothesis of high-contrast markings on the wings suggests that the markings work not by mimicking eyes, but because they are conspicuous markings. Predators are wary of prey with striking patterns which warn of the presence of toxic substances. So why look like eyes? 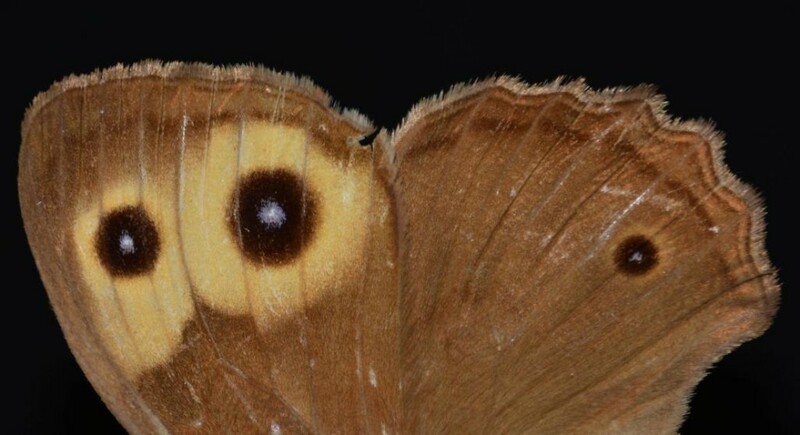 Eyespots are not necessarily adaptations, but may instead be artifacts of pattern formation. During embryogenesis, expression of specific genes programming cells to produce pigment at specific foci can easily radiate from a central point, resulting in a circular design. 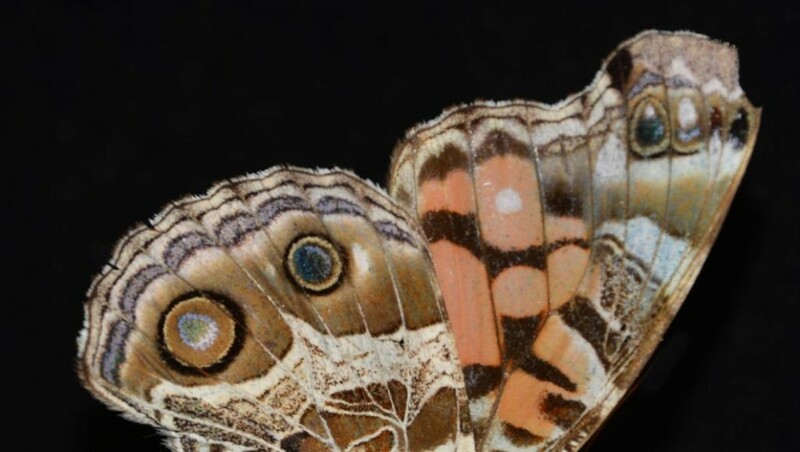 So at least in lepidopterans, the evolutionary function of eyespots remains unresolved.